You all know how much I love green products. Anything that makes my home more energy efficient brings my heart energy too - I seriously get excited it. So I was eager to put the Woolzies dryer balls, made from fine New Zealand wool, to the test. They are a natural fabric softener guaranteed to last for at least 1,000 loads of laundry. If you've been following my blog for a while, you know that Cort is prone to eczema. I have to be extremely careful to avoid any chemicals or perfumes in the laundry. Well Woolzies are hypoallergenic, chemical free, and ecofriendly. They didn't aggravate Cort's sensitive skin at all. And even better - they significantly reduced the amount of static in my laundry. I even had a "heavy static" load in (two flannel shirts, some flannel pjs) and when I took it out to put in the laundry basket I didn't notice the typical crackling of static that I usually do this time of year. That made me quite happy. The dryer balls also reduce drying time by 25% - which means you will save on energy in the long run. Plus, you are reducing your carbon footprint by not using all those dryer sheets! Overall, I was super impressed with these high quality dryer balls. I have used some plastic dryer balls for a while now, but I felt like these were much more effective in reducing static, and I love that they last for so long. I think they'd make a wonderful gift for someone cloth diapering a baby or moving into a new home! Want to win a set? Woolzies is giving away a set to one lucky reader! Just click on the Rafflecopter giveaway to enter. Disclaimer: I was sent a set of Woolzies dryer balls for review purposes. The opinions above are my own. Well, I'm not sure if this GA. is open internationally, but I'm entering too. I hate static, and lately it seems everything I touch goes boom! Even when I open the car door sometimes "zbing" my fingers go.. hate it! The fact that they reduce drying time by 25% is amazing. I have been wanting to try something like this. We don't use dryer sheets at all, but in the winter we do deal with static quite a bit (we wear a lot of fleece here!) Thanks for the chance to win a great product! These sounds wonderful! I am all for something that cuts down on dryer time. Soo excited to be the first to enter!!! Yeah!!! They help reduce static and wrinkle. They also cut down on drying time. Couldn't click on the link - darned work always blocking cool sites :) Sounds very cool - Trevor suffers from ecsema as well so anything that doesn't aggravate his already irritated skin sounds good to me! These sound wonderful. I like the fact that they're natural and cut down on drying time. Those sound like a great product! I, too, have sensitive skin and need to think about stuff without all the dyes and scents. I've never heard of these. Love this idea! I learned that they reduce drying time by 25%. I need to try those. Softener is so expensive. How great are these! I also have to watch certain things because my girls & I have really sensitive skin. Love how cost effective this could be! You always find the neatest things! I have only heard of the washer balls. This is a great idea! I have tried any dryer balls and I use way to many dryer sheets. I think th decreased drying time is amazing.i have a hard time getting my big towels dry. I don't use the dryer, but these are a great idea! Heard anymore about the job? I have eczema so this looks like it might help me. Thanks! I learned that they help with static, which is great! I have trouble with my skin. I would love to try these! Thanks for letting us know about such cool items! They are reusable and reduce drying time. win win ! Cuts down on drying time by about 25% in large loads. 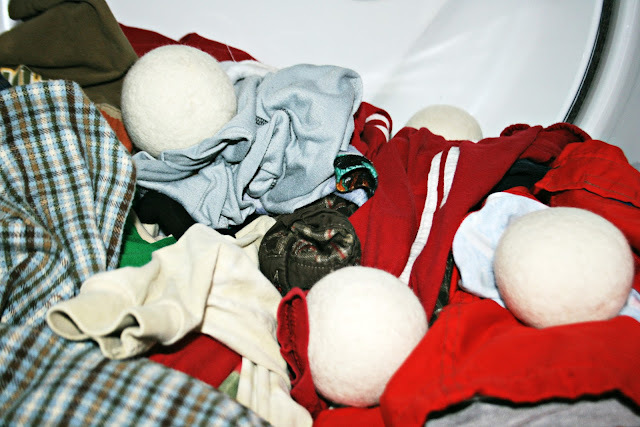 That plastic dryer balls can damage your dryer's sensors. These help to naturally soften cloth diapers! I love Woolzies, and they can last for 1000 loads. I learned they are good for about 1000 uses! I love the fact they are hypoallergenic and cut drying time i hate paying high electric bills. I love that they are supposed to reduce static! Can I enter for my Mom? If I win I'd give you her address, not mine. They make your clothes and towels soft. They save energy by reducing dryer time. I like that it cuts down drying time and saves the bills! I love that it cuts down on drying time, and that they are natural. we make our own fabric softener, however I would love to try this alternative. They are chemical free and last for 1000 loads. I love that they last for thousands of loads. I can buy a bunch knowing that I will basically never have to buy them again! 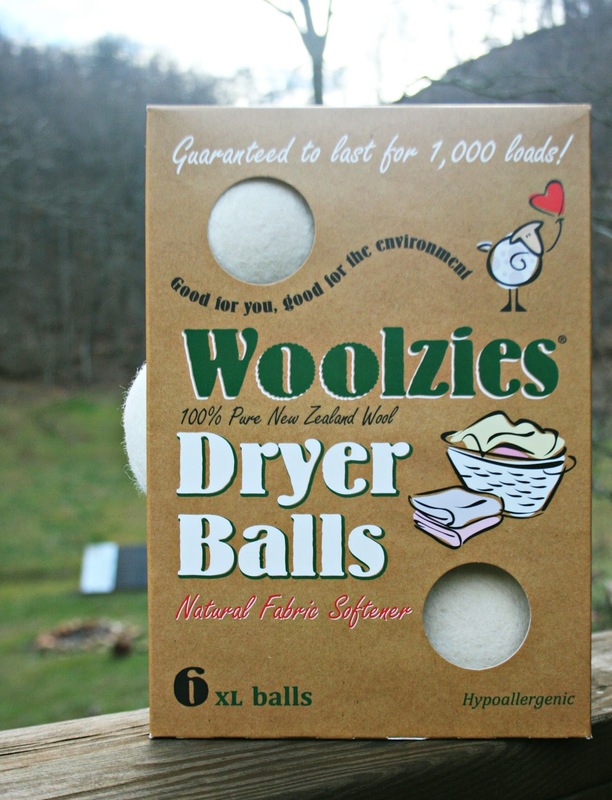 "Woolzies are pure handmade New Zealand wool dryer balls that soften your laundry naturally without any of the chemicals of conventional fabric softeners. Unlike the plastic dryer balls, they are PVC free and won't fall apart or melt on you." suebunting1977at(gmail)dot(com)something I learned is They save everyone a lot of money by eliminating the need to continuously spend on fabric softener liquid and sheets. I learned that Woolzies deliver the same benefits for laundry as conventional fabric softeners WITHOUT all the nasty chemicals.